This goes out to the entrepreneurs who are not ready to compromise with the quality of their working environment and want the best of resources within their outreach falling right into their budgets. What could be better for a day to spend amongst the dynamic and innovative minds, who are ready to revolutionize the start-up market with their offsetting idea’s. 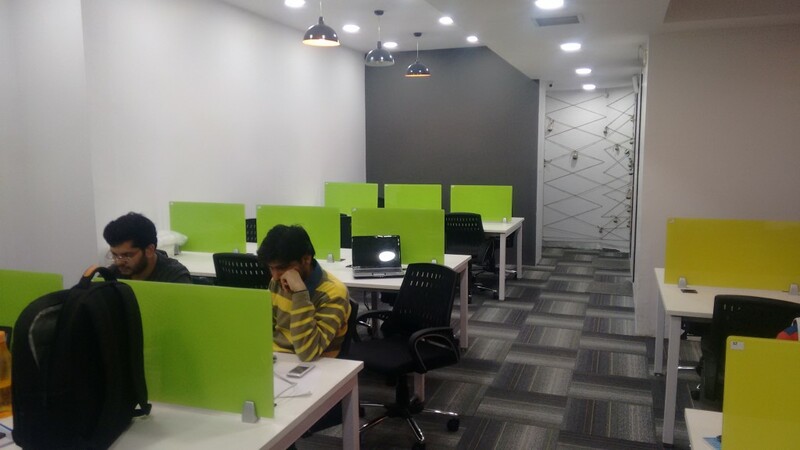 It was a day spent in a co-working space provided by One Internet situated in the hub of Delhi- Connaught Place. Getting off at the Gate-7 of Rajiv Chowk Metro Station, I tracked down this place which was a 2minutes walk from the station. 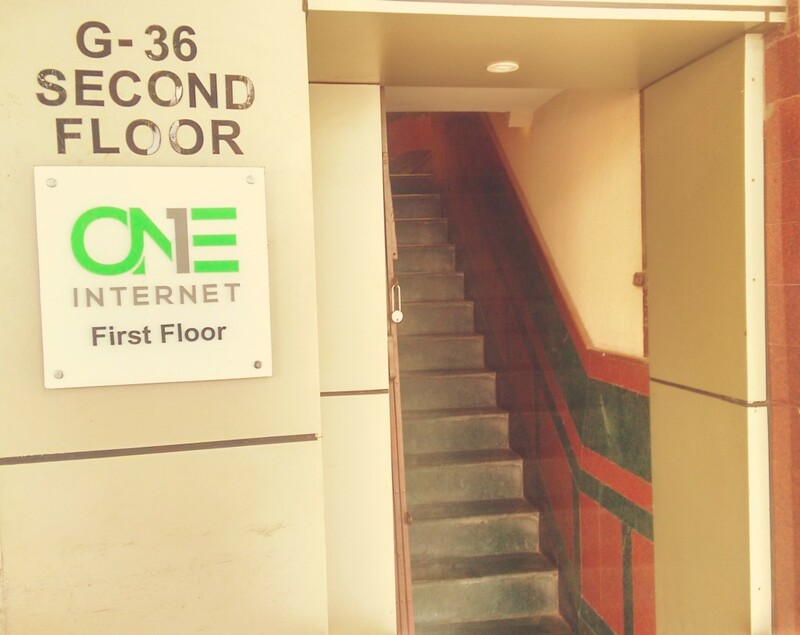 There was a small sign board at the entry point which was more of a stairway that led me to the first floor where One Internet was located. I was greeted by Ms Smriti, the Community Manager for One Internet, who gave me a little introduction about the place and showed me around. The place was quite spacious with several open work stations. To my surprise, there was a small coffee place just like a cafeteria where people can hang out to take a break from their work. Watching so many people work, I couldn’t resist my temptation to enquire them about their experience working in such a co-working place. I approached a team to have a little feedback of the place which was a startup under the name sponsifyme.com. They had been working there since past 4 months and are happy about the fact that how friendly and lively the space is! The place not only served the startup, but also people who were about to organize an event. 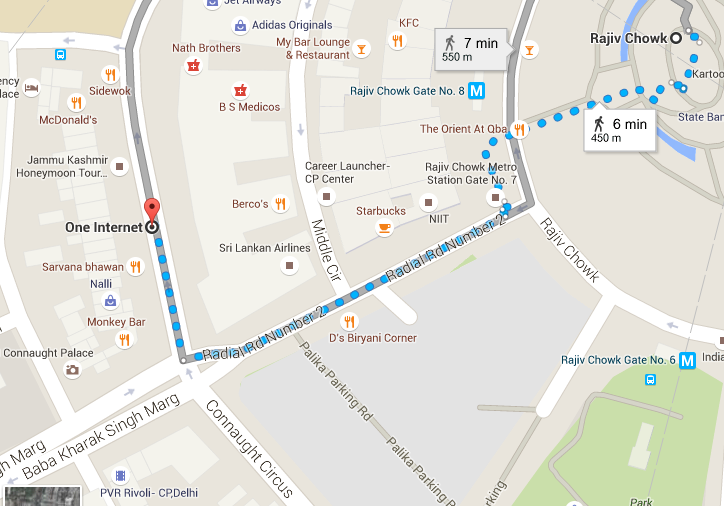 The place also provided support to a college guy from IIT- KGP who was working on his Wikipedia projects from there. Himanshu Bindal is a rebel who besides being an industrialist is an angel investor and the founder of One Internet by his interest. After fulfilling and overcoming all the standards set by his father, Himanshu has reached this position. He entered the startup world in 2012 when he came up with the idea of a night food delivery service, which eventually didn’t work out because he didn’t get the green signal from his father. Later on, he explained to his father what a startup really is. Working with him in his steel power plant, Himanshu saved all his income to every penny and by the end of March, started funding startups. 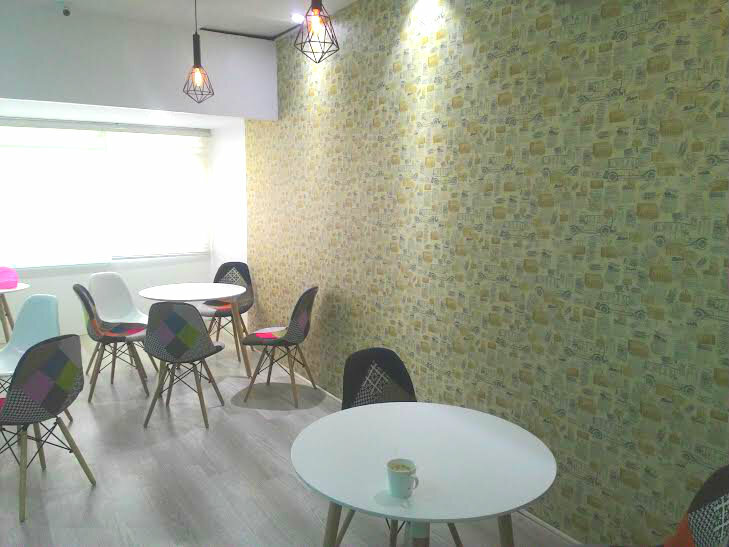 By August 2015, he started this space, renewed and furnished it. Unlike his father, he wanted to support startups, walking in his shoes, he knew what it was like to be without a support. 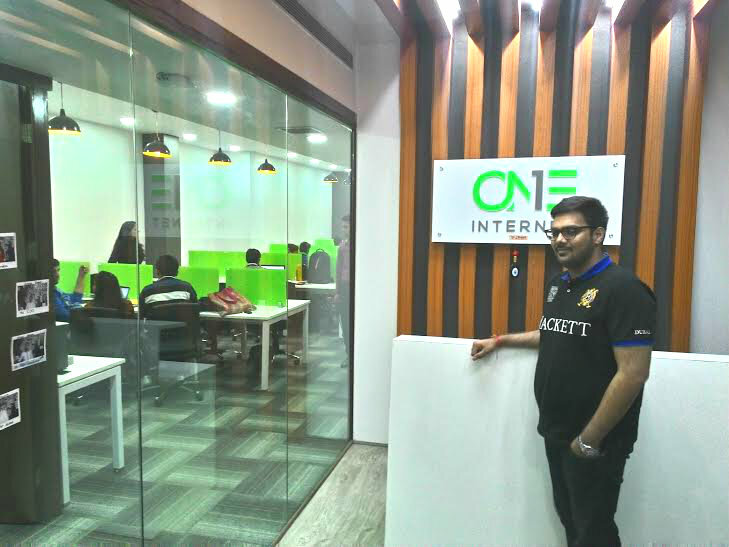 He fulfilled his dream of opening a startup by promoting other startups. He is a man who does not wants to steal from other people who are working in this direction, that’s the reason, the co-working environment he is providing is quite cheap and friendly! He has an open investment model and does not seek for much equity. He has also supported startups free of cost judging them on the basis of their capabilities and his selection procedure.